Start from exactly where you are at right now. Be amazed at how quickly a regular practice builds strength and stamina and fall in love with how your body moves when given the opportunity. There is no better time to commit to strengthening your core and improving your balance in order to further develop your stability, confidence, and well being. These classes are designed for all ages, stages, and ability levels. Absolutely no yoga experience is required. All you need is your mat, a sense of adventure and some willingness to have some fun. Let’s do this thing! Currently, my only regularly scheduled classes are offered at Juici Yoga. Core Essentials – This 60 minute class places a huge focus on a series of postures and movement that work to strengthen the core and to create a strong stable body. 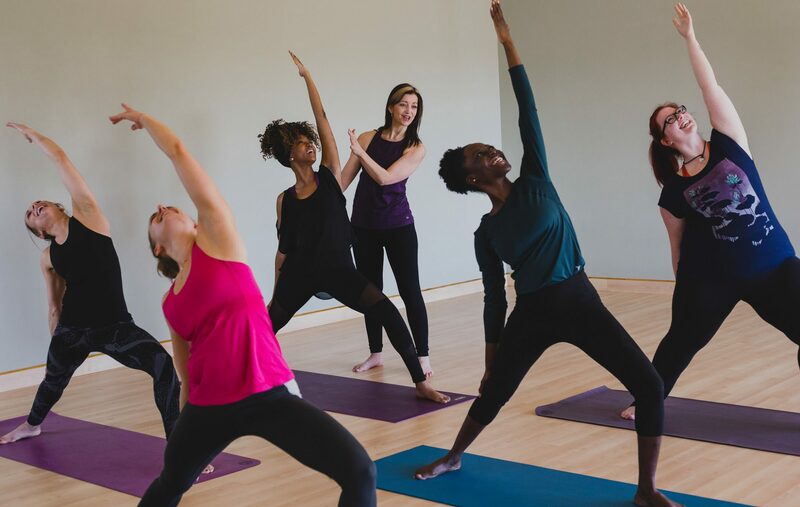 Vinyasa Flow – This 60 minute class covers a similar core series to the Core Essentials class integrated with the sun salutation flow series to get you moving and creating some heat in your body. (We’ve been known to increase the temperature in the room on occasion). Private classes – Custom designed (individual or group) with your own personal health and fitness goals in mind. Contact me for details.